This project will study, design, fabricate and experimentally test a new prototype of self-expanding stent with variable radial force throughout its length (larger in the medial zone), and therefore adapting this force to the type of stenotic injury. 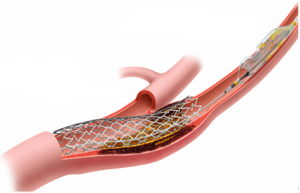 The stent will be made of Nitinol (a shape memory alloy) in such a way that it keeps constant force at the ends, allowing for a gradual remodelling of the vessel wall with a progressive opening of the zone of maximum stenosis (generally a hard calcic plaque) avoiding the need of balloon angioplasty. 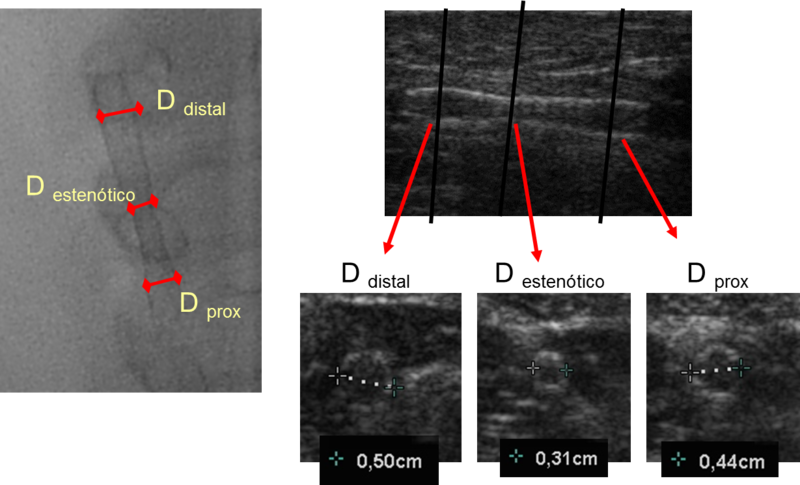 This type of stenosis opening, would reduce endothelial damage and therefore re-stenosis by fibrosis. This stent design will be applied to carotid stenosis, a diseases responsible for 20-30% of cerebrovascular accidents (CVA), and the second cause of death and first cause of disability in adults in developed countries. 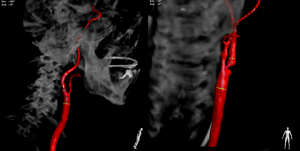 Recent studies have put in evidence that the stenting technique with balloon, widely used in carotid artery, represents a considerable risk for patients. In order to attain this ambitious objective the project counts with a multidisciplinary team of engineers, medical doctors and veterinarians in such a way that all phases in the design of the new prototype can be completed, i.e., i) understanding of the problem and learning about actual medical devices, ii) familiarization and development of advance design tools (computational modelling, experimental tests, etc), iii) fabrication of the prototype, and iv) experimental validation in animal models, with further data analysis and stent designs. Different techniques are, therefore, combined at different phases of the project. First of all, the group of medical doctors, (interventionist radiologists, cardiologists and neurologists) will share with other team members their understanding of the stenosis problem, their experience with actual models of stent, clinical problems associated with their use, and other mechanical factors which significantly influence the success of angioplasty. 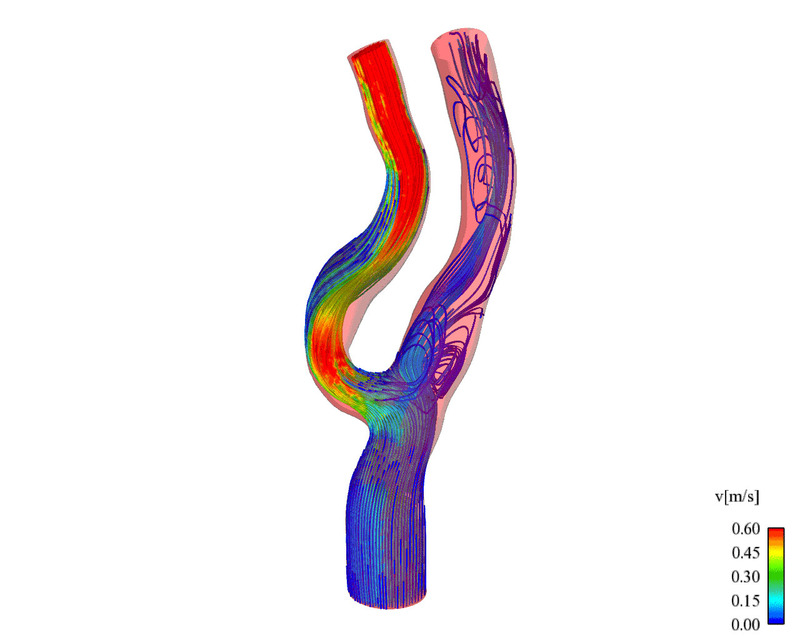 The stent design will be performed with the aid of advanced finite element modelling of: the arterial wall, the atheromatous plaque and the mechanical behaviour of Nitinol. Experimental data for characterizing the mechanical behaviour of the vessels will be provided by veterinarians of the team. The developed models will be used to simulate stent deployment inside the stenosed artery and to find the optimum design capable of reducing the stenosis with minimum risk for the patient. For the fabrication of the self-expanding stent, the project counts with the collaboration of an EPO (Abbott vascular). As a final task of the project, the prototype will be evaluated in a pig model for its similarity with human. Success will be quantified tin terms of stenosis reduction, fibrosis proliferation in the short al long term, among others. In addition to the advances that supposes a new design of carotid stent which overcomes the problems of current designs, there are additional benefits related with the project: i) a better understanding of mechanical factors influencing a successful angioplasty, ii) development of an advanced computational which allows to define and evaluate new guidelines for the design of other medical devices, and iii) consolidation of a multidisciplinary team which makes possible approaching this type of problems from a integrating perspective, a key point in biomechanics. 9. Removal of Retrievable Inferior Vena Cava Filters 90 Days After Implantation in an Ovine Model: Is There a Time Limit for Removal?